The serpente Duetto wall lamp by Dutch pulls through abstract optics everyone's attention. Like two interlocking horns, the two pieces of serpente Duetto nestle together. The fantastic combination of gold and brown scores with its own unique charm. 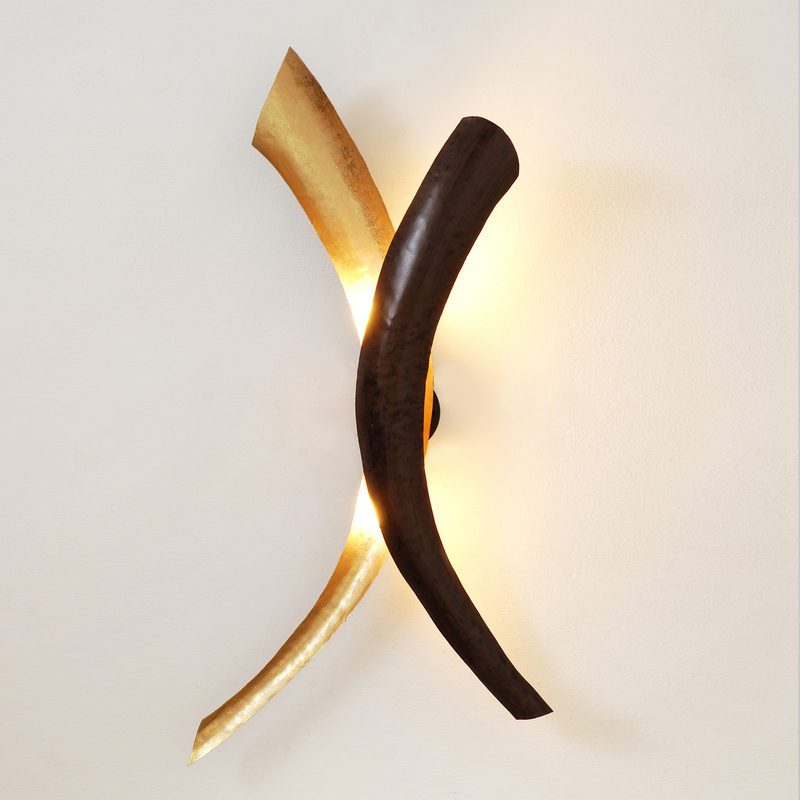 Let the serpente be Duetto wall lamp from Dutch to highlight in your home!